Krakow, like many european cities now when you tell people you are going to Krakow they will tell you about the bars and restaurants, rather than the history or the cities beauty. As I went with my mum and the actual reason of the trip was to visit Auschwitz over anything else, the fact that we happened to be staying in Krakow itself for four days was just a bonus. We took a tour around the old jewish quarter and ghettos finishing up at Schindler’s factory. Quite frankly if you know a lot about the war in general already you will probably find the factory itself rather disappointing, there is surprisingly little about Schindler himself and his work. At the centre of this beautiful city is a large square lined by restaurants and shops including a Hard Rock Cafe, obviously. A large beautifully ornate chapel towering above from a far corner. In the centre of the square is a little covered market with a number of stalls selling little hand made items from traditional scalves and wood workings, to delicate handmade glass ornaments. 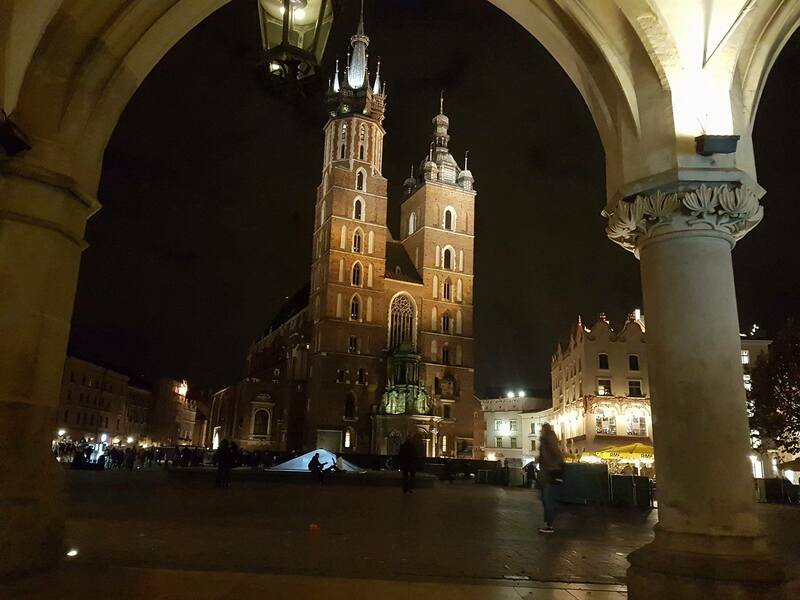 We booked our hotel and tours through “Escape To Poland” and I would use them again and recommend them to anyone thinking of taking a trip, the price included our transfers and transport to and from any tours we took, in all honesty I was shocked when we found out how incredibly cheap it was. The prices didn’t reflect the hotel or quality of the trip at all the hotel was lovely and clean and provided a great breakfast and the tours were informative well planned and not rushed to any degree. Overall Krakow is a beautiful and very clean city, stunning buildings around every corner and at no point did we question our safety even with the huge amount of tourists. If you choose to visit yourself you will be spoilt for choice with restaurants and bars and if you want to see the sights like us, then make sure you don’t miss the castle and take a day just to wander around the city admiring the buildings and historical landmarks that are scattered around the city. I intend to go back one day, although maybe in the summer as it really does get cold.